Does anyone have any experience with this product? The specs seem to be better than the less expensive Polyscience models, and it is cheaper than the forever delayed Kickstarter funded Nomiku that might eventually ship. It looks like the company actually has experience making water baths and immersion circulators for industry. No experience with that particular unit, however there's another Kickstarter for a similarly priced / designed product called the Sansaire. It's priced at $199, looks to ship in November, and is already > $350K over goal. While there is no guarantee that it will ship on time, the founders have been very responsive, and there have been several updates since it's inception on 8/7. Here's the review of a test unit by J. Kenji on Serious Eats. I backed the Sansaire. I've been wanting to get into sous-vide for a while and at $199, the price was right. There are always risks with Kickstarter, but these guys seem to know their stuff. I also backed the Sansaire as soon as I saw it. The designer (Scott Heimendinger) is the same person that developed the original $75 DIY SV machine, and he used that knowledge to create the Sansaire. A great price and an impressive progression from DIY to commercial product. I did see the Sansaire, though with all things Kickstarter I'll believe the price and shipping date when it finally happens. $200 is easier to justify for a something I clearly don't need, but I'm not sure how long I'm willing to wait. When is the Sansaire expected on the market (can't get to kickstarter at work)? The projected ship date is October / November. So the Anova is now listed for $199 instead of $299 (yes, it dropped since I posted this). I went ahead and placed and order so I'll write up a quick review after I've had a chance to play with it. Their online ordering system was giving me hell, but their phone service was super fast and polite. I think a real human answered on the first ring and I had the order placed within a few minutes. The unit arrived on Tuesday and my first impression is very good. The packaging was solid, the unit is very solid, the power cable never got warm, it is reasonably quiet and seemed to hold a steady temperature. I've only had a chance to cook a few eggs so far, but it worked just like you would hope. I forgot to set the temperature to a degree above the desired final temperature, so they were a bit looser than desired, but that was user error. To follow up, I'm still very pleased with the purchase. After a couple uses I checked the temperature of the bath and it was off by about 1C -- checked with two different Thermapens and a couple other thermometers, as well as putting it in an ice bath. The doneness of a couple things also led me to believe it was off a hair. There is a built in calibration setting that made it super easy to adjust it to the accurate reading. Deep in a thread on eGullet, there was mention that the units shipped during a specific week we adjusted slightly the wrong direction. It sounds the issue was quickly resolved and any units shipping now should be spot on. That said, everything else has been great. It is quiet, moves a lot of water around, and keeps the temperature dead on. It is easy to clean and feels solid. The user interface on the touch screen is simple and easy to use. I might have done a few things differently, but it works and is easy to understand. The gripping mechanism should fit a wide lipped vessel, though it does need to be reasonably deep or the units touches the bottom before you're able to secure it to the side. I've used it a dozen times since adjusting, and everything comes out like you would expect. I would recommend it to anyone interested in sous vide cooking. At $200 it is pretty easy to stomach as a "toy" that you don't need and may not use real often. I've actually considered buying a second so I can run two different temperature baths at the same time. Mikelipino wrote: The projected ship date is October / November. I got my Nomiku a little over a month ago as a Kickstarter backer, seems to be a well built and easy to use circulator. It would be nice to see a side-by-side (by side) comparison between the Nomiku, the Anova and the Sansiare to see if the Nomiku is worth the extra cost. I'm not sure how far along they are in shipping to backers and pre-orderers, until they finish that they won't be able to ship new orders. One of these three is on my list for Xmas this year. I am having coming up with any major differences to grab one over the other. Any of you that have had yours for a bit have any new comments to add? Or has anyone else done enough research to come up with a strong reason to snag one over the other? Also, what do you use for your vacuum packing? Here's some discussion on the differences between the Anova and the Sansaire, however since the Sansaire isn't shipping until next year, it might make a terrible Christmas gift... Check the comments for further "unofficial" comparisons between the three. Good luck! Edit: I'm using the Foodsaver 4880. No idea how it will function for sous vide (Sansaire backer here), but it's gotten a lot of use freezing meats and leftovers, particularly since you can throw the whole bag in boiling water to reheat. I recommend it, but it has all the drawbacks of a non-chamber sealer, e.g. need to be careful with liquids. I've been very happy with my Nomiku, for some short ribs I had it running for a little over three days with no issues at all. The things people seem to have an issue with are the separate power supply box, which according to one of the owners of the company was done so they could make the part of the unit that is over the bath steam proof, and the lack of a built in timer (which I can't say I see a need for). The eGullet forums has a long thread about the Anova (had to be split in two) you might want to look through to get impressions from people who own one. Here and Here. The people at Polyscience have filed a patent infringement lawsuit against the Sansaire folks, not sure what this will mean for their plans at this point. Serious Eats reviewed the Anova here. Kenji plans on doing a Anova vs. Sansaire vs. Nomiku head-to-head (to head) in the next week. The immersion circulator rundown is up at Serious Eats here. Coogles wrote: The people at Polyscience have filed a patent infringement lawsuit against the Sansaire folks, not sure what this will mean for their plans at this point. Sansaire recently updated that a) units should be shipping before the end of the month, and that b) the Preston Industries suit has been dropped. Huzzah! While a few months late, I cannot wait to get this unit. Got the Anova for Christmas and I have been very happy. 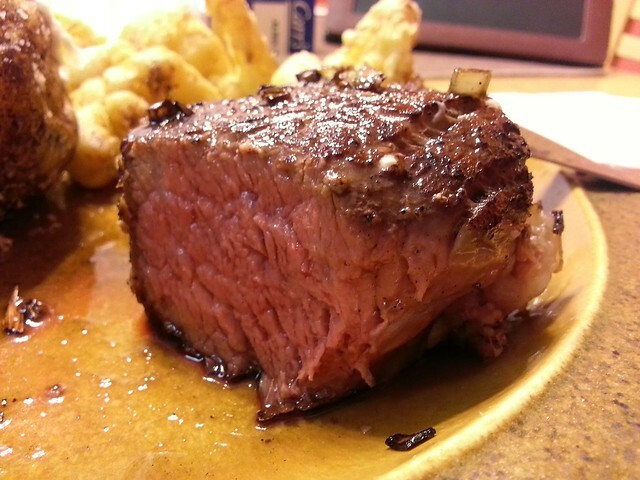 It is my first foray into Sous Vide cooking and I have had a lot of success doing just very simple things. Zero complaints with the circulator. I read a good amount on the three in my range and found this one got fairly similar reviews (and slightly better in some things) than the others but really it just came down to timing for Christmas and the Sansaire was not shipping yet. So far I have been combining learnings from Modernist Cuisine at Home and assorted googling and had consistently delicious results. Its weird trying to explain to not food people what the hell the device does and why it is so special, but I am slowly learning is to just let the food do the talking. I think the thing that stands out (which is also why I bought it) is just the consistency. Being able to deliver perfectly cooked items to a large group can sometimes be an art but with this it is very easy. - The hanger steak just brought the house down when I served it. I generally find that to be a piece that always gets good reviews, but the medium rare/butter sear at the end just delivered a very appealing visual plate as well. - Carrots were ok but I think also a tad undercooked (down from al dente). - Salmon - sensational! Cannot wait to do more fish. Really want to get a good piece of Monkfish and see how it comes out. - Hollandaise - used the recipe from Modernist Cuisine at Home. Flavoring was incredible, consistency was a disaster. I did not have an immersion blender and could not get rid of chunks. Next time it will be better. Very happy thus far and am just starting to figure out what I am doing with it. At this point I am looking forward to doing 72 hour short ribs and then peeling back layers on flavoring components to play with and how much you can do with them. Anyone have any good sites/ books they have used specifically for Sous Vide? Egullet has the most info but is also a tad daunting when i am just looking for a quick recipe. Chefsteps.com has been pretty good and has a couple of the guys that helped Nathan on Modernist Cuisine. Sorry for the long post. Feel free to move this guy to an actual Sous Vide thread if it straddles too many topics. For the eggs you can crack the sous vide cooked eggs in to a small bowl then slip them in to some simmering water until the white is set to your liking. 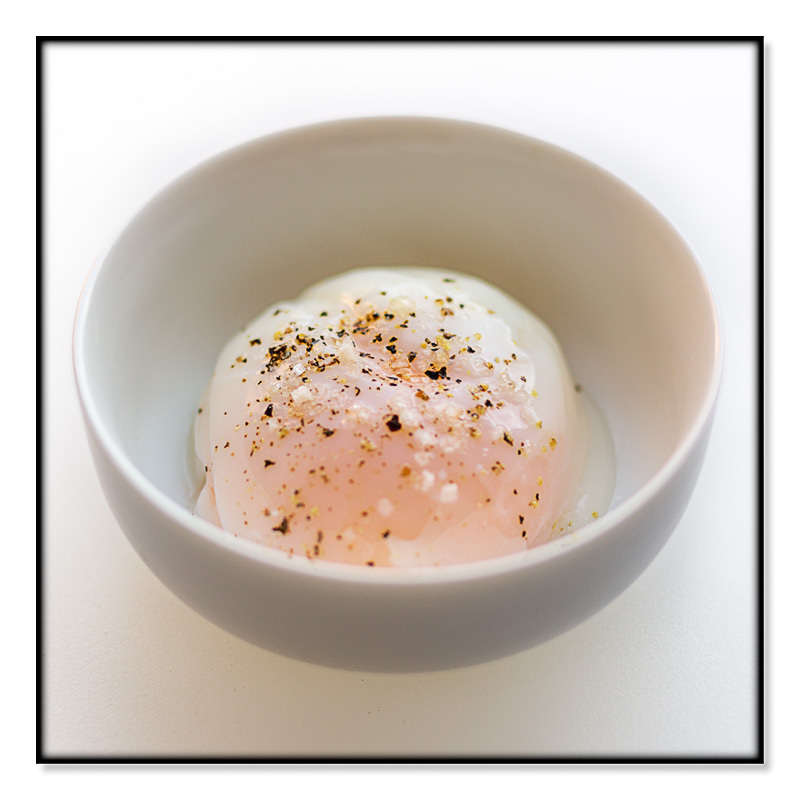 Another method I have read about (but not tried) is to take the eggs from the water bath and put directly in some barely boiling water for a short time to set the whites in the shell. The trick there is to know precisely how long they need in the boiling bath to set the whites but not change the texture of the yolks. I picked up the Anova immersion circulator over the holiday season too. Right now I'm pairing it with a 4.75 gallon cambro polycarbonate container along with their sliding lid. I attach the Anova to one of the corners through the sliding opening and cover the rest with cling wrap to avoid evaporative loss. I've also looked at the Jason Logsdon sous vide books - they have excellent time and temperature tables too. 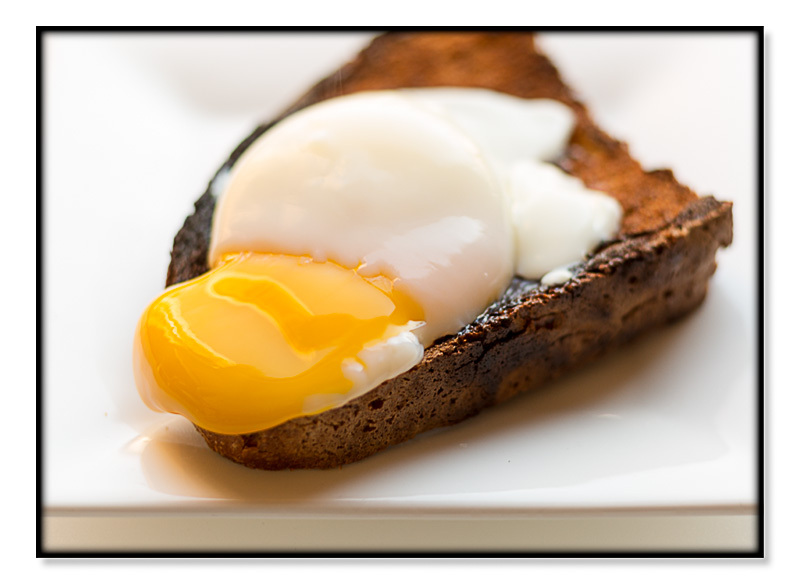 This site has some good information graphically presented, including pictures of eggs at various temperatures heated in-shell. I'm still in the early stages of preparing food, but I've definitely found a lot to read about the topic online. Hope this helps. I'm reluctant to buy the Anova now, because they have not been available on Amazon since around Christmas, and a few people who ordered directly from Anova have posted on Amazon and Serious Eats that while the Anova web site says they are in stock, and their credit cards were charged at the time the order was placed in late December, they still haven't received one and they have had problems contacting Anova's customer service for any information. Sounds like a risky proposition. Has anyone here ordered one in 2014 and received it? My Sansaire has arrived! First dishes were 65C eggs (oddly the consistency of Cadbury creme eggs) and a zabglione. I'm very happy with the product. * Should this be in another thread, or keep all the handheld SV-related posts together? I got my Sansaire yesterday, too. I have some sirloin in there now. We'll see how it comes out tonight. carrots at 183˚are cooking now. 35 day dry-aged ribeye (from Standard Market) @ 127 F for 2 h.
Since taking this pic, I've also made a pork tenderloin (fantastic) and poached chicken for cold szechuan chicken with hot & numbing sauce (turns out about the same as Fuchsia's poaching method). Anyone else have neat applications for immersion circulators? Mikelipino wrote: Anyone else have neat applications for immersion circulators? Other than cracking quartz composite countertops? Probably the best success I've had is butter-poached shrimp, which I did for shrimp and grits for a party. Much less butter used, excellent flavor. The only catch is that the crustaceans will be molded into shape by the vacuum process -- make sure they don't overlap before evacuating the container, and they should be OK. I just put 1/3C butter in the pouch (not melted) with 1lb shrimp, then dropped them in the hot water for about 1/2 hour at 58C. That's a lot less butter than you'd normally use for poaching, and one recipe said as little as 2Tbs/lb of shrimp, but I wanted the butter for the dish. imsscott wrote: I'm reluctant to buy the Anova now, because they have not been available on Amazon since around Christmas, and a few people who ordered directly from Anova have posted on Amazon and Serious Eats that while the Anova web site says they are in stock, and their credit cards were charged at the time the order was placed in late December, they still haven't received one and they have had problems contacting Anova's customer service for any information. Sounds like a risky proposition. I just recently noticed that the Anova unit was available again on Amazon after 3 months, so after seeing that I could save a couple of dollars versus Amazon Prime (which it isn't eligible for,) ordered it directly from Anova. I received it today and am cooking three pieces of tri-tip right now. It seems very well made; solid and heavy. New Kickstarter campaign starting today for a lower cost Anova circulator.